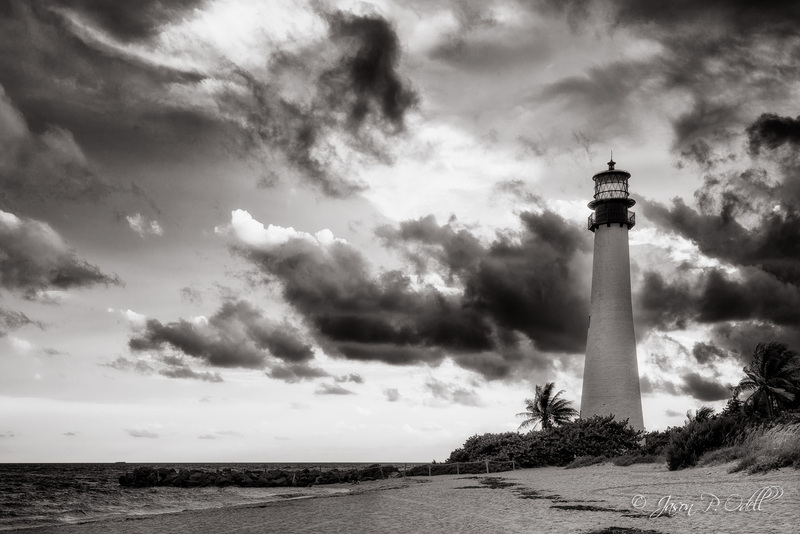 Last week we took the workshop group to Key Biscayne, Florida to photograph the Cape Florida lighthouse. We had about 20 minutes to work with before a nasty thunderstorm rolled in. Processed in Adobe Lightroom and Photoshop using Silver Efex Pro 2 and Color Efex Pro 4.